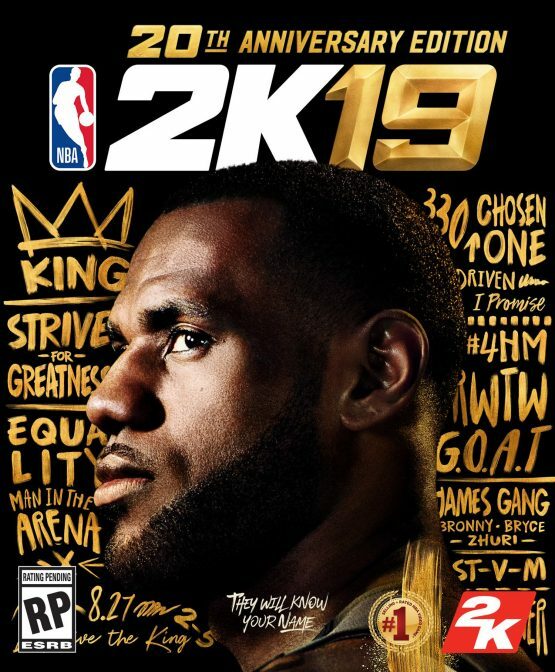 2K sends the official word that NBA 2K is going to feature three-time NBA Champion, four-time NBA MVP and avid NBA 2K gamer LeBron James on the cover of the NBA 2K19 20th Anniversary Edition. That, more or less, isn’t the news here, folks. What’s more important is that those who purchase the NBA 2K19 20th Anniversary Edition are going to get the game four days early, starting on September 7. King’s Collection – Nike LeBron apparel & footwear (25 pairs!). NBA 2K19 20th Anniversary Edition is going be available on September 7, 2018 for $99.99 on Xbox One, PlayStation 4, Nintendo Switch, and PC.